/Materials/Take a Leap into Circular Economy! Take a Leap into Circular Economy! A new report showcasing how pioneering Finnish companies are together making headway in the circular economy. Circular economy offers prospects for unprecedented growth. Our new publication provides an overview of what it is all about and how Finnish companies have succeeded in embracing the circular economy. Circular economy plays a key role in providing solutions to global climate change and scarcity of natural resources. It is also considered to be a world-class business opportunity. In a circular economy, materials are kept in circulation for as long as possible to retain their value and reduce their harmful impact on the environment. No waste is generated in the circular economy vision because one company’s surplus materials are raw materials for others and products are designed to be reused. In a circular economy, value creation is also increasingly immaterial: products are replaced by services and goods and resources are shared rather than owned. Many Finnish companies are making headway in the circular economy. This became evident when EK interviewed over 20 companies from large industrial companies to small start-ups that are looking for growth in the circular economy. Within each area there are several inspiring companies that create new growth together. 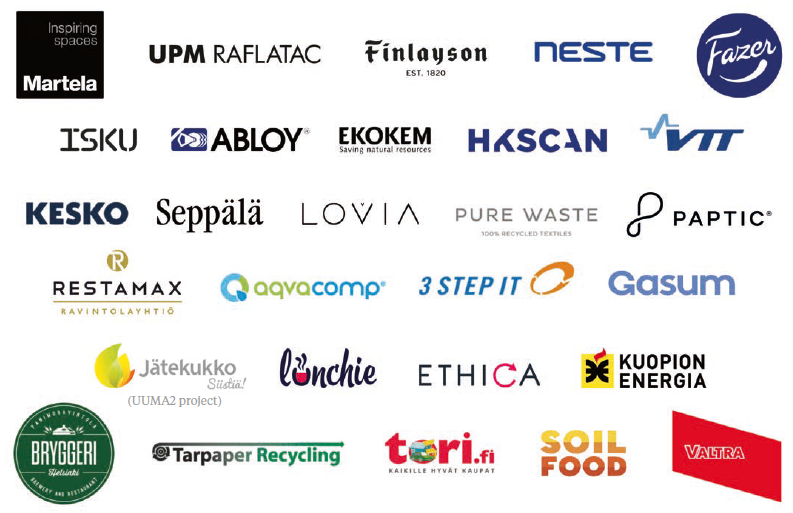 In this publication, we take a closer look at these opportunities and show how Finnish companies are already closely engaged in the circular economy business. Read the full report here: digital publication or PDF (4 Mb). Take a Leap into Circular Economy! Bryggeri Helsinki and Gasum talk about their partnership. Take a Leap into Circular Economy! Lovia and Pure Waste talk about their partnership. Take a Leap into Circular Economy! Martela and 3 Step IT talk about their partnership. Take a Leap into Circular Economy! Lunchie and Restamax talk about their partnership.